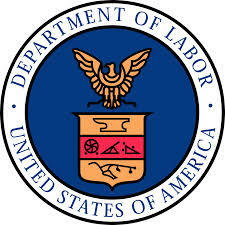 The U.S. Department of Labor has issued its Conflicts of Interest Proposed Rule, a proposal which seeks to establish a fiduciary standard for investment professionals rendering advice to retirement savers. The proposed regulation was published in the Federal Register on April 20, 2015. Comments are due by July 6, 2015. The final rule would be effective 60 days after publication in the Federal Register and the requirements of the final rule would generally become applicable eight months after publication of a final rule, with potential exceptions. There will be an administrative public hearing within 30 days of the close of the comment period. The proposal is subject to change based on this input. The Department believes the proposed regulatory package is a balanced approach that improves protections for retirement savers by ensuring that advisers provide advice in their client’s best interest, while also minimizing any potential disruptions to all of the good advice in the market. The proposed rules apply to contributory corporate plans regulated under ERISA, and also apply to individual retirement accounts. The new proposal leaves intact the current system of advisory compensation, which includes commissions, revenue sharing and 12b-1 fees. How much of the proposal will remain intact before concrete finalized rules are established is anyone’s guess.